Derek A. DeCosmo is the founding and managing Partner of DeCosmo & Rolón. Since 2005, Derek has guided clients through the maze of immigration law. Derek is experienced, responsive and driven by results. Derek has successfully represented thousands of immigrant clients, whether they’ve been in deportation proceedings or in their applications for immigration benefits. Derek has handled every type of immigration case. Derek has extensive experience advising clients on the immigration consequences of criminal convictions and in defending immigrant clients charged with crimes. Derek’s passion for working with immigrants began during his time in government. He was first an aide and later Deputy Chief of Staff to Congressman Robert E. Andrews, where he worked to ensure the rights of immigrants in the benefits and application process. In 2008 Derek established DeCosmo Law, a full-service immigration law firm. Derek represented clients in every type of immigration benefits application. Derek also represented immigrants in both deportation and criminal court proceedings. He was one of the few attorneys in New Jersey practicing in the area of the convergence of immigration and criminal law. In 2013, Derek joined the prestigious criminal defense law firm, Zucker Steinberg & Wixted. For five years, Derek led the firm's Immigration Law Group and represented both U.S. citizens and immigrants in criminal and municipal court matters. Derek's advocacy on behalf of New Jersey's immigrant communities led to his selection as 2014-2015 Chairman for the New Jersey Chapter of the American Immigration Lawyers Association, which has over 10,000 members nationwide. In 2016 Rutgers School of Law asked Derek to develop and teach a course on “crimmigration” law, which studies the historical and contemporary relationship between criminal and immigration law. The course explores the immigration consequences of criminal prosecutions. Derek has served as a Part-Time Lecturer at Rutgers School of Law from 2016 to the present. In 2018 Derek founded DeCosmo & Rolón and serves as managing partner. Decosmo & Rolón is a boutique immigration law firm. The firm concentrates on representing immigrants in all benefits applications, deportation defense and in handling the most complex immigration and criminal matters. When not in a courtroom or teaching other lawyers and law students, Derek is passionate about donating his time to charitable causes and giving back to the community. He hosts lectures at various churches and organizations to inform the community of their legal rights. 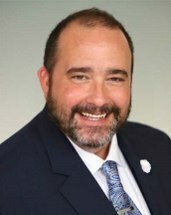 As a native of Burlington County, Derek knew from the start that serving the communities of South Jersey would be central to his practice. Derek and his wife along with their two children reside in Gloucester County, New Jersey.